Another historical account comes as back as 1639 from the Italian traveller Giorgio Bianchi. 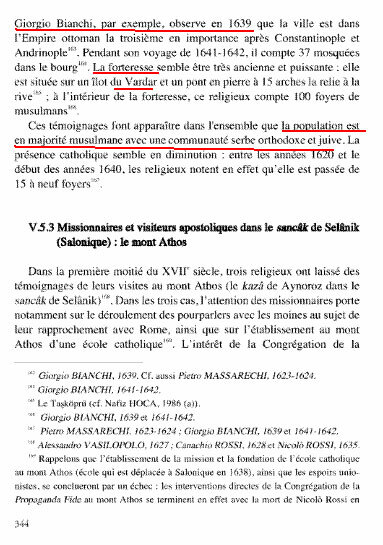 The Italian traveller noted that the Sancak of Uskub (renamed later to Skopje) consisted of Turks, Serbs and Albanians. 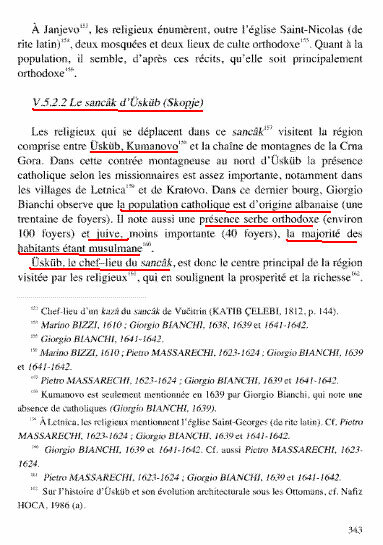 In other words, this account of 1639 reaches the same conclusion with more the entire bibliography related to the specific issue and furthermore confirms the fact that Uskub (renamed later to Skopje) for centuries was a Turkish city with a predominant Turkish population. There was no “Macedonian” ethnicity, since its well-known the fictitious ” macedonian” nationality is a modern invention. Ενδιαφέρον έχουν και οι κάτοικοι της *πόλης* των Σκοπίων, όμως, κατά το απόγειο της Σερβικής αυτοκρατορίας.